Evernote is the most popular digital note-taking and personal organiser service around right now and boasts in excess of 100 million users right around the world. 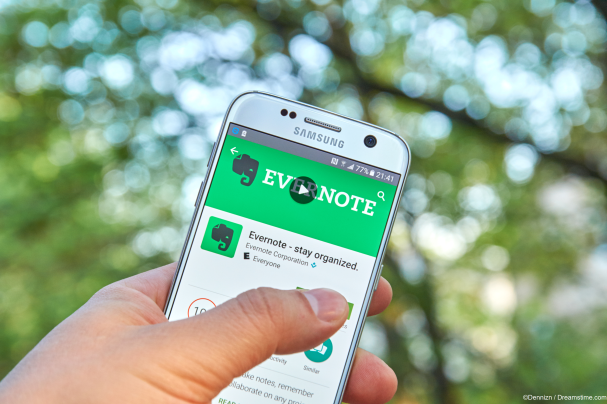 It revealed the rather startling news that Evernote employees will now be able to look at the content of your notes. Now, to be clear, it has always been the case that in certain circumstances, such as investigating whether their terms and conditions were being breached, or if required to do so by a court order, this has been permitted before. Such clauses are, to all intents and purposes, meaningless because they can be interpreted in so many different ways. So, what this new clause is essentially doing is allowing Evernote to access the content of your notes as and when they please. Since the new clause has come to light, a number of prominent individuals have highlighted user groups who will find the lack of privacy now given to their notes a big problem. Stacy-Marie Ishmael, a freelance journalist, commented on the chance in a typically blunt fashion. Her main concern was that as a journalist, she uses Evernote to store notes about forthcoming stories and reports. The right for Evernote to access these notes runs the risk of compromising confidential sources and information, and for many journalists that will be enough to force them to move their business to another rival service. Another potential area of concern was raised by Michael Oman-Regen, a prominent anthropologist. HE noted that many academic researchers would use Evernote to store data on research with human subjects or patients, where privacy for the subjects is absolutely essential. Again the risk of this privacy being compromised is likely to be sufficient for many in his position to leave Evernote too. Evernote has defended the new policy, which suggests they are unlikely to row back on it now. They say the new policy allows users to opt out of their machine learning features and also that they continue to offer users the ability to encrypt any notes containing sensitive data. This should, in theory, protect them from both automatic and manual access. But for many users, this will provide only a few crumbs of comfort. And for those Evernote users who want to truly ensure that their notes are truly private, it seems that the best bet is to move your business to another provider who takes privacy more seriously.